This entry was posted in Political Jesus and tagged ableism, Action Comics, Church-State separation, corporations, corporatism, DC Comics, diversity, documentary, economics, education, education reform, interlocking oppressions, intersectionality, Krypton, man of steel, Michelle Rhee, neocolonialism, neoliberalism, political theology, politics, public education, public policy, racism, Robin Hood Tax, superman, Texas, the Academy, The Economy of Jesus, Waiting For Superman on December 4, 2013 by Rod T.
Here are links to all 4 parts of my review to Man Of Steel ; the next time I hope to be able to do a two week event like this is when Guillermo del Toro’s Justice League Dark movie hits theaters. What a concept! A DC Comics fanboy and director with a history of results in charge of a DC Entertainment/Whoa Bros.’ live action film! This entry was posted in Political Jesus and tagged Action Comics, DC Comics, man of steel, movies, music, & television, superman on June 25, 2013 by Rod T.
Now, I would like to conclude my series on Man Of Steel as an event (hopefully the birth of a DC Comics [live action] Cinematic Universe. 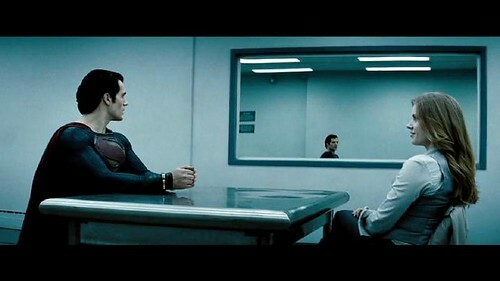 Man of Steel was a nice start but it only feels like a really really awkward introduction. Perhaps for this first movie, the realism was necessary.The idea that human beings’ lives would forever be changed by the invasion of aliens in someways needed to be shown. I think to further expand the mythology of DC Comic into a coherent cimematic universe, there needs to be more of an emphasis on the fantastic. While Christopher Nolan has produced a story dealing with magic, THE PRESTIGE, I do not believe the way to introduce a live action Justice League to kids and adults is by having a movie concerned more with a message about how awful the world is. Also, the progress of the Justice League Dark (justice league with magic/supernatural beings), goes against the Nolanesque grain. These heroes first need to have one figure, cough cough, the Flash, that enjoys what he does. Unlike the Avengers, the Justice League is not a tool for the US military. JLA is bound by their own codes and virtues, and that makes them more susceptible to becoming humanity’s scapegoats. Next, the MOS needs to take a leap forward and get a comic writer to help with the screenplay. Geoff Johns, Gail Simone, James Robinson please. More dialogue, and perhaps more character development. Third, to connect with more audiences, there needs to be that childish fantasy fanboy/girl moment. A scene of a kid trying to emulate Lex Luthor or Supergirl. To show what is at stake practically. Also, the DCU could learn from Marvel’s IRONMAN 3. IM3 Passed the bechdel test, and Pepper even saved the day. However Marvel has no one close to a Wonder Woman that has inspired women and men. So thats why its very important for all of these rumors about Supergirl to be sorted out, cuz its really a big deal. Marvel had superpowered women but ummmmm Fantastic 4 and Xmen trilogy failed because the women were weakened in their stories. Lastly, the MOS sequel aside from Supergirl is expected to have a surprise appearance by another member of the Trinity. Why not all 3 appear? At least a really good Easter egg from the Amazons. 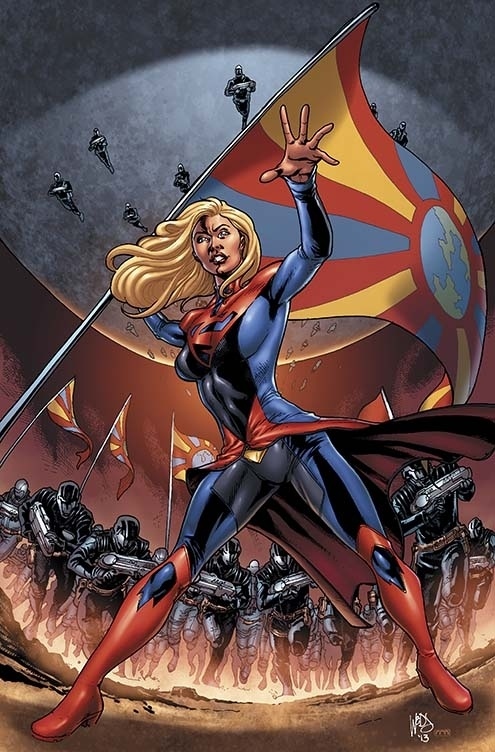 This entry was posted in Political Jesus and tagged Action Comics, Blerd, Canada, DC Comics, man of steel, movies, music, & television, superman on June 22, 2013 by Rod T.